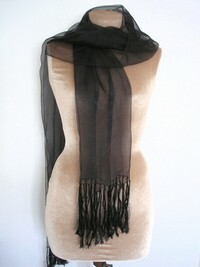 Beautiful vintage long black fringed chiffon evening scarf/stole. 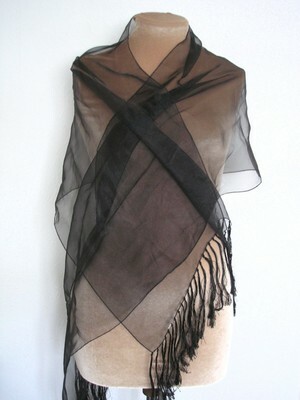 This item is in excellent condition and measures just over 6 feet in length (not including the fringing at both ends.) 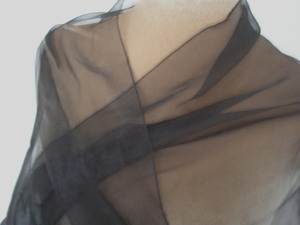 It would be perfect when paired with your specially chosen evening gown for a Christmas or cocktail party. 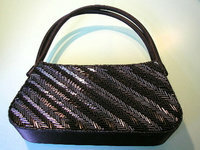 It would also make a lovely Christmas gift for the special person in your life.